Business velocity has changed the approach to service delivery and the IT value stream. Achieving 'fast flow' through optimization of IT processes can enable better, faster IT. As a speaker, author and longtime advocate of IT best practice models, I can't help but notice the radical transformation within the last year on the hot topics, hallway conversations and industry buzzwords that have captured CIOs' attention. It's like someone threw a switch and reversed the polarity of the industry's focus from common themes such as high availability, robust process and business resilience to an obsession with increasing speed. I've seen this across the entire IT ecosystem, whether in articles published on tech news sites, on IT conference agendas or in vendor product marketing pitches. Borrowing from the Lean IT lexicon, which forms the basis of both the Agile and DevOps movements, the industry has embarked on what can now be best described as the ultimate "quest for fast flow," or continuous flow, a term used to describe a process with optimized output and little waste. the growing frustration of customers related to the current speed of delivery of projects. These factors, as well as many others, represent the perfect storm of growing IT complexity, causing a "speed to market gap" for IT service organizations that need to quickly scale and meet business demands. This need for increased business velocity is, in my opinion, the primary driver of the radical language shift. The ironic aspect of this shift is that the external market pressures we're facing are in some sense a phenomenon the IT industry has helped to create. Operating as a mature IT service provider requires managing demand and processes/data across silos. The increasing gap between the speed of demand and supply and the growing trend for business units to fund or purchase their own IT services (aka: shadow IT) are changing the focus on what we do and how we deliver value to the business. Companies and IT leaders and staff alike are beginning to recognize that it’s time to put away our political agendas and silo-based thinking in order to simplify, standardize, modernize, accelerate and automate our 'plan-build-run' IT value streams. 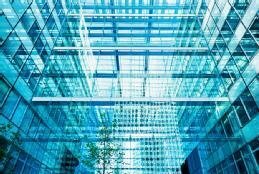 Companies and IT leaders and staff alike are beginning to recognize that it's time to put away our political agendas and silo-based thinking in order to simplify, standardize, modernize, accelerate and automate our "plan-build-run" IT value streams (a Lean phrase for the concept of turning project requirements into finished products). They are acknowledging the need to "Lean out" the way they get things done, and reduce the complexity of their current processes, architectures, tools and organizational structures. In essence, they’re on a "quest for fast flow" by turning to Lean and Agile frameworks and principles that help to deliver more high-value work faster by reducing waste, minimizing variation and redundancy, and consolidating and simplifying. These three accelerators -- Lean IT, Agile and DevOps -- have become the new popular subjects in the IT industry. However, we have forgotten one important question: What are we accelerating? It's important that we go back to a key point made at the beginning of this article to understand that all of these acceleration practices, tools and techniques are focused on speeding up the processes involved in taking demand and turning it into supply. Overall, it's about speeding up the work we have always done (IT service management, project management and software development): the elements representing enterprise IT capabilities and processes that enable us to manage the end-to-end IT supply chain. What IT leaders need to understand is that in order to successfully deliver on the "quest for fast flow," it's critical to focus on the practices of acceleration (Lean, Agile, DevOps) with respect to the processes of the "plan, build, run" IT value streams. Leading with Lean and Agile principles means we recognize that IT value streams have to be considered from a systemic perspective and that sub or partial optimization will be more harmful than helpful to the overall velocity of your IT value system. As IT leaders consider their quest for fast flow, it's important to understand there are many critical success factors to enable this objective. The following is a recipe for speeding up the flow of value to the business. Get Lean: Regardless of your starting point (Agile, DevOps, project management or IT service management), learn about the principles of Lean IT to understand the foundation of value streams in improving quality, increasing speed and reducing costs. Develop a product/service mindset: Focus on outcomes versus tasks, technologies or assets to build a collective sense of accountability for flow. Understand systems thinking: Study the full set of integrated processes in the IT value system to improve system-based flow. Be Agile: Produce smaller work packages and improve the frequency of feedback loops to create higher velocity and releasable product iterations. Be transparent: Leverage Lean's visual management system (for instance, a Kanban board) to understand the flow of work and to identify bottlenecks. Create cross-functional teams: Reduce silo-based behaviors, reduce wait time created by handoffs and cover essential skills gaps. Reduce variability and automate standard work: Reduce process and tool variability, complexity and increase standard work to support increased automation. See a longer whitepaper on this topic on the Pink Elephant website. At your organization, how has the gap manifested between business demand and IT's ability to respond? As digitization forces companies to rethink IT ops, CIOs are learning that a successful ITSM strategy creates a delicate balance between reliability, agility and speed. The rapidly evolving techno-society is increasing competition for all kinds of businesses and forcing them to create a plan for enterprise transformation. Here's advice to help. A business process management suite can deliver speed, flexibility and cost savings to a software development environment. For the greatest return, make the BPMS the focal point.